To ensure durability along with elegance the German technology Schott glass with superior manufacturing standards assures lifelong elegance. Imported from Italy, these gas valves are best of quality. 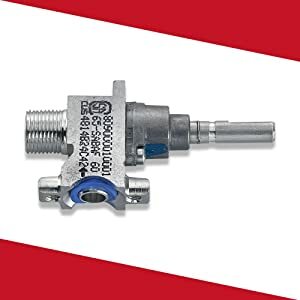 It is a high precision extremely durable valve, designed to give high performance trouble free operations for long usage. Lifetime quality promises for Schott glass, for as long as the product is being used. It looks aesthetic and easy to clean which makes it ideal for regular use. 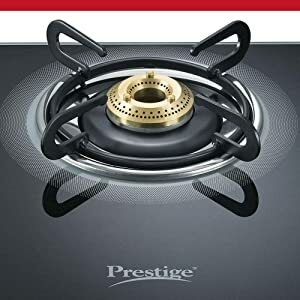 Prestige Royale Plus comes with individual pan support that gives durability and steadiness to pots and pans when placed on it. 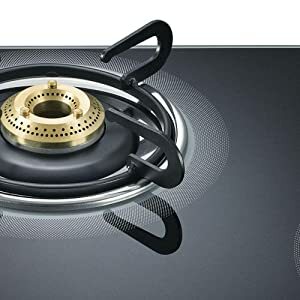 It enables uniform heating for perfect cooking and helps easy cleaning. 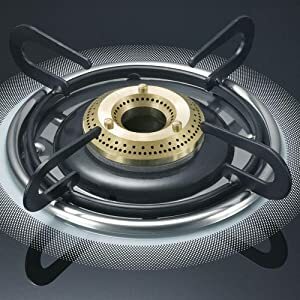 The Tri-Pin brass burner ensures uniform heating, consume lesser gas. The burners are made for Indian cooking needs. 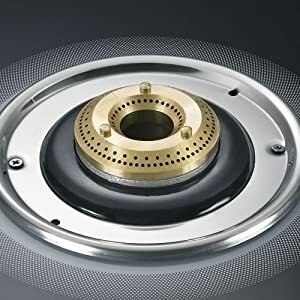 Burner comes in different sizes to suit all your cooking needs. The ignition system of Prestige Royale Plus ensures precision flame control and safe usage of the gas stove. 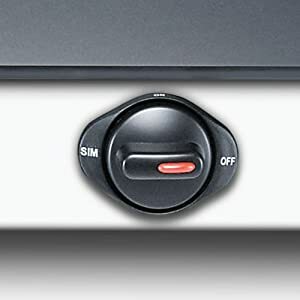 The ergonomic knob design makes turning the knob, easy on the fingers.